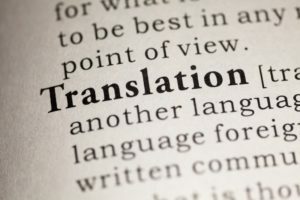 Translation as an art is often underestimated, especially by monolingual individuals who do not understand the intricate differences between languages. One of the most important parts of a translator’s job is to fill in the gaps where appropriate when one word simply does not have a substitute in the target language. This can occur in many situations, whether translating a literary article or an informal e-mail liaison, and can often be time consuming for a translator to find the exact words to convey what wants to be communicated. It could be a unique descriptive word, a cultural invention not known to some countries, or a general colloquial expression that certain nationalities will not understand. The TTC wetranslate team has found an excellent example of this problem, and a successful response which we feel needs to celebrated. Susan Bernofsky, one of today’s best German to English literary translators, decided to share her version of Franz Kafka’s renowned title ‘Die Verwandlung/The Metamorphosis.’ Experts believe this version to be one of the finest translations of a Kafka book, which is down to her taking creative risks to translate what has previously been “untranslatable”. The biggest challenge when translating this story is said to be the vital word that describes the main character, Gregor Samsa, when he finds himself transformed into an Ungeziefer. Language specialists fluent in English and German have long tried to conquer this word, the problem being it has a few different connotations. In rigid translation, the following variations are as follows: creature unfit for sacrifice, household pest, unclean animal or bug. Translators have used the word ‘vermin’ in an attempt to convey the disgust Kafka expresses, but this also isn’t exactly accurate. The challenge of this word is its vagueness. Ungeziefer refers to something repulsive and unwelcome in one’s home, but does not describe its form in the way the word ‘insect’ or ‘bug’ does. Bernofsky faced this challenge head on, and decided to add a few small words to the sentence that are not in the German version: “…he found himself transformed into some sort of monstrous insect.” To some purists and conventionalists, this may seem unacceptable, but it terms of translating a meaning it has successfully achieved what no previous translator has. 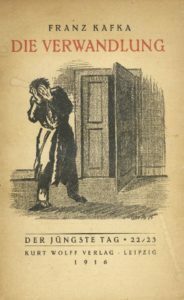 The three small words ‘some sort of’ has added the ambiguity needed, as Kafka himself famously would not allow the creature to be depicted on the front cover of the book. Bernofsky has inspired the team at TTC wetranslate Ltd to do the best we can throughout our translation services, to make one individual understand precisely what another individual wishes to communicate.